As Teresa Heffernan noted here last week, at the Silicon Valley-based Singularity University, “faith in technology and profit are unwavering, while the world’s problems are understood as great ‘market’ opportunities.” In March 2013, journalist Eric Benson took a weeklong $12,000 course in the Executive Program at the university. Not only was he instructed in the “nearly limitless potential of artificial intelligence, robotics, nanotechnology, and bioinformatics,” he learned that science fiction, religion and the drive to get rich motivate the university’s teachers and students. 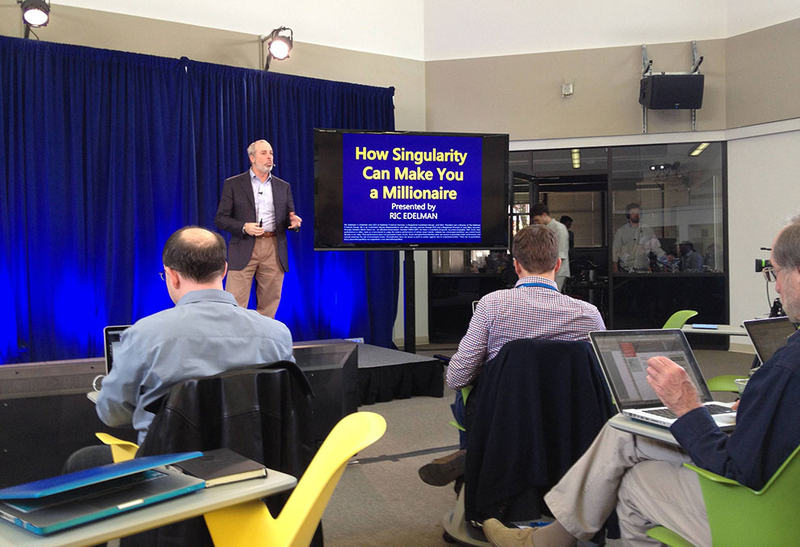 Benson’s insightful analysis of his experience, “Sci-Fi, Religion, And Silicon Valley’s Quest For Higher Learning At Singularity University” is posted at BuzzFeed.